As I’m now signed-in back at good ‘ole BJU, Christmas break is officially over. Work at ITS starts tomorrow and classes start Thursday. However, Christmas Break was not without profit. In addition to completing a 2000 piece puzzle, installing Windows 7 in VMware Fusion (twice, due to some issues), besting family member’s scores in Wii Fit, and helping my brother beat Mario Bros. Wii, I was able to get in some reading I’d been wanting to do. (Although I did do all of the things in the above list, their degree of profitability varies 😛 ) But anyway, back to reading. Below is a list a books in the order I read them with some comments. I enjoyed this little book. Mahaney and the other contributors use the illustration of the Jefferson Bible to make the point that Christians are often guilty of mentally if not literally clipping out parts of the Bible that deal with the sin of worldliness. Worldliness is viewed as non-conformity to an outside set of a rules and restrictions, rather than a heart issue of putting the things we love above Jesus Christ. Thus, as long we match up with our “checklist,” we ignore passages that deal with worldliness, mentally clipping them out of our Bible. 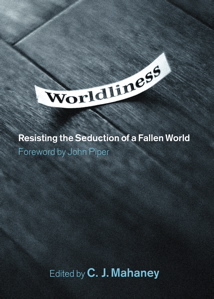 Throughout the book, the authors present hard questions to practical issues of worldliness (media, music, stuff, clothes) that force one to re-evaluate his decisions in light of his love for Christ. Mahaney correctly makes the point that this self-centered heart attitude can not be defeated by self-effort, but only by the power of Christ, which was demonstrated on the cross. The book includes a short study guide in the back which makes it helpful for a small group or discipleship study. This is a classic work of fiction loosely based on historical events following the King’s Crusade. One of my favorite books. This was a re-read, but enjoyable nonetheless, as there are always things in a book of this length that you don’t pick up on the first time. If you’ve only seen a movie or read an abridged version (i.e. the Wishbone version does not count 😛 ), I highly recommend you spend the time to read the full, unabridged version. 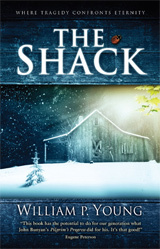 Another note about this book: I read this using the Stanza app for my iPod touch. Highly impressed with this free app. As the parent company is now owned by Amazon, hopefully both this app and the Kindle app will only get better. Having greatly enjoyed and profited from Christ-Centered Preaching, also by Bryan Chapell, I’ve been looking forward to reading this book. Chapell did not disappoint. 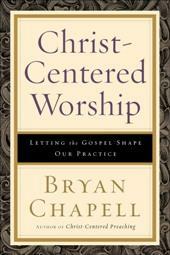 His goal in this book is to help ministry leaders re-align their worship services around the themes of gospel. He begins by a historical survey of orders of worship or liturgies from Medieval times, through the Reformation, up to the present day. He demonstrates how all of these, as well as several biblical examples of worship are ordered in respect to the gospel. He traces the themes of Adoration, Confession, Assurance, Thanksgiving, Petition and Intercession, Instruction, Communion/Fellowship, and Charge and Blessing through each of these examples of worship and shows how they relate. For example, Adoration – recognition of the greatness of God – leads to an accurate view of our own sinfulness which in results in Confession; because God is always ready to forgive those who have contritely confessed their sin we have Assurance of his grace and pardon which should cause us to respond with Thanksgiving, and so on… He discusses the importance and relation of each of these themes to the gospel. He also includes various examples of different ways each of these themes could be communicated through a service (choir, congregational singing, prayer, preaching, offering, etc.). In the back some resources are listed to help with locating suitable means to express these themes. I think this book is a great complement to Gary Reimer’s book, The Glory Due His Name: What God says about worship. While Reimers focuses on the elements of worship God requires (Preparation, Praise, Prayer, Presentation, and Preaching), Chapell shows how each of these elements can be used to communicate the gospel God desires. Another one of Chapell’s goal is to show how a biblical, gospel centered approach to worship avoids many of “worship wars” prevalent in churches today, often caused by a desire to hold to traditional practices or implement modern ones. Although I would not agree with all of the applications Chapell draws, and I doubt he would expect me to, there is much in this book that is very helpful. Anyone else read anything interesting or helpful recently you’d care to comment on? You know where to do it. Hi Andy – thanks for the nice review of Wayback. @Sam Batterman, You’re welcome, it was a great read. Looking forward to your next book. @Steve240, I’m not a full-out supporter of Mahaney or SGM in any way. Being a fundamentalist, I have my own set of issues with their ministry. However, I did find this and some other resources they have put out helpful. I undestand. I just want to make people aware of the blogs. Thanks for the book reviews! 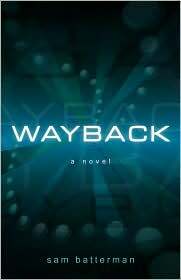 I just did a review on Wayback on my blog also. It is amazing!!! I’ll have to check out these other books!